Enjoy a bowl full of delicious MacAweenie and Cheese tonight for dinner. 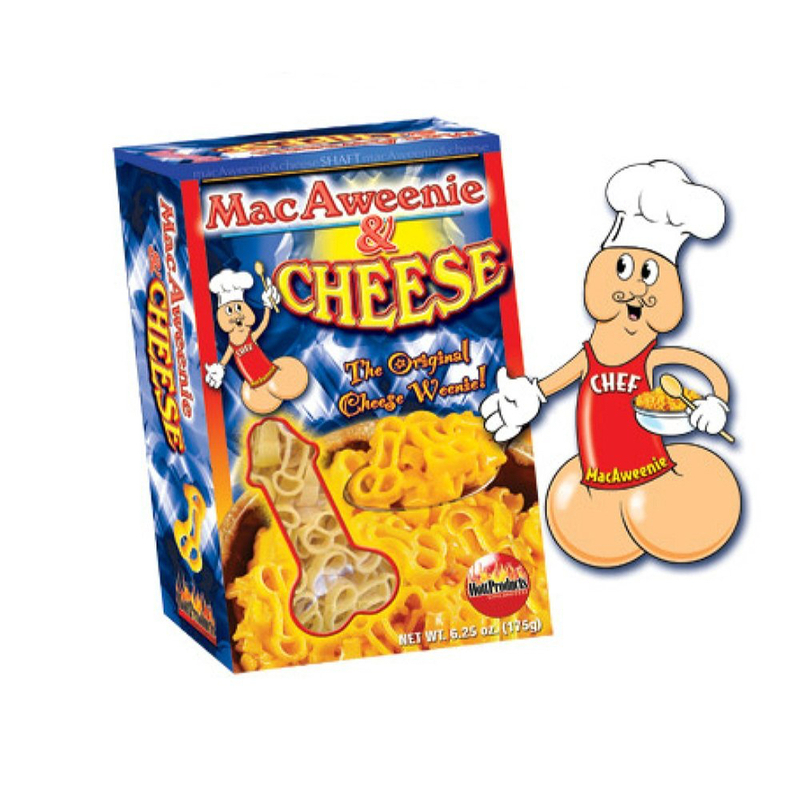 Follow the instructions on how to prepare your MacAweenie and Cheese to insure great amounts of pleasure to your taste buds. Net weight is 6.25 ounces; approximately 4 servings. Caution after cooking: Your weenies will be hot and wet! Keep this in mind before you slip a MacAweenie in your mouth, or anyone else's! Yummie!